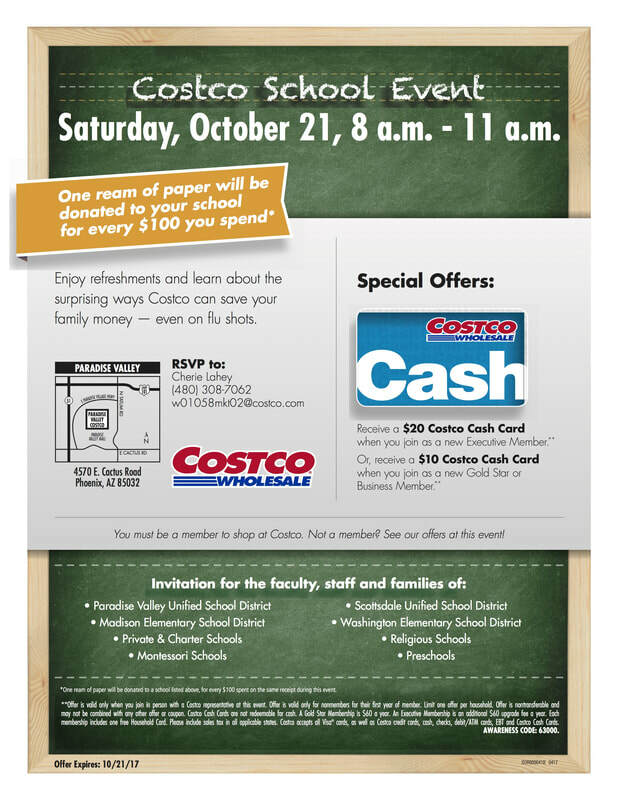 Shop at the Paradise Valley Costco from 8-11:00 AM, and earn paper for Grayhawk. For every $100 that Grayhawkers spend, the school earns a ream of paper (if you spend $75, and another person spends $125, combined you will earn 2 reams). Everything you purchase counts. Special Offers for new members, too. Tell them you are there for GRAYHAWK when you check out. Tell your friends and neighbors. Spread the word!